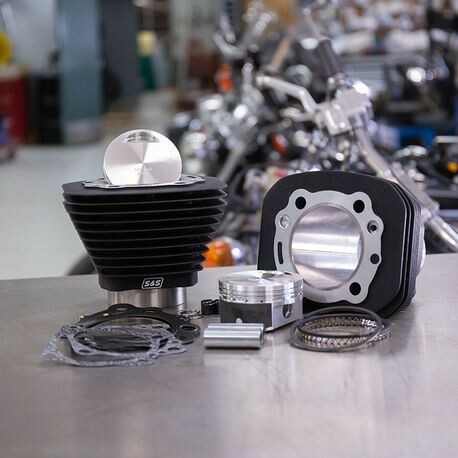 This kit converts 1986-'19 883cc and 1200cc HD Sportster models to 1250cc displacement. No machining or rebalancing is required. 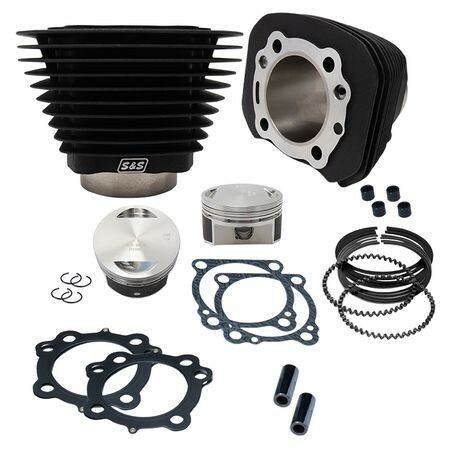 Kit contains forged flat topped 3-9/16" bore pistons with coated piston skirts, S&S 3-9/16" bore cylinders, MLS head gaskets, base gaskets, exhaust gaskets, assembly lube, and instructions. 883 cylinder heads may not be used with this kit. 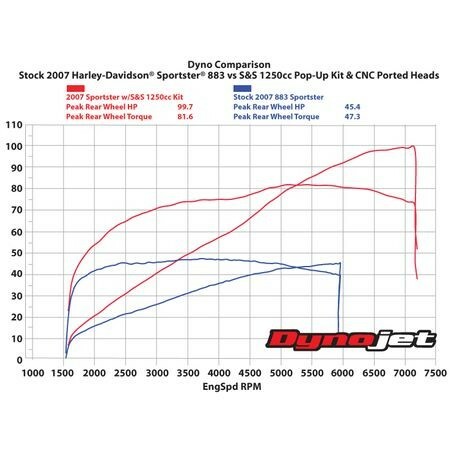 For the best performance CNC head porting, performance cams, exhaust and intake upgrades are recommended.